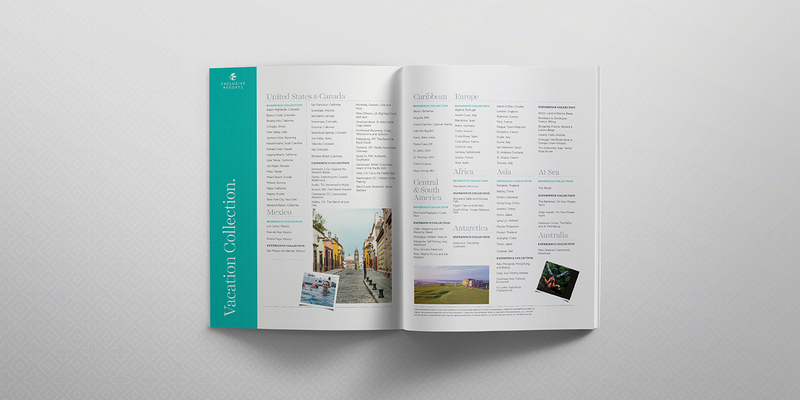 Global marketing campaign development for private luxury vacation club. Exclusive Resorts is much more than just a luxury vacation club. 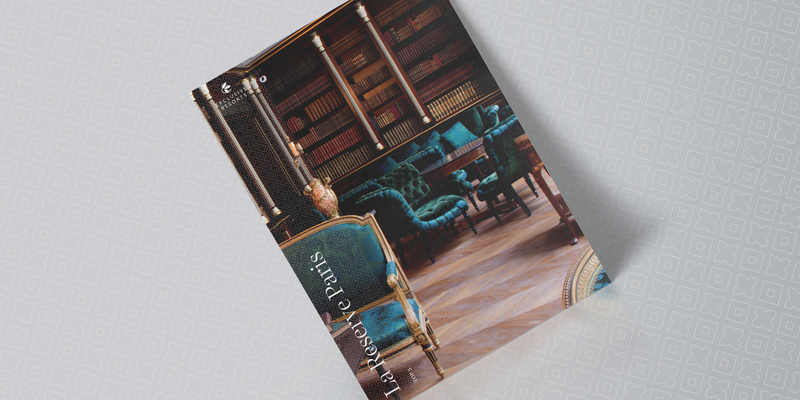 Their portfolio contains more than 400 exquisite private residences across the globe, granting members privileged access to the world’s most spectacular travel experiences. Members can also enjoy the ease of having each of their getaways planned down to the detail by a team of Vacation Ambassadors. In need of a creative agency that could develop and execute an extensive global marketing campaign, Exclusive Resorts named MODintelechy their agency of record. Our team wasted no time in creating a robust strategic (global and hyperlocal) marketing campaign that traversed a wide range of mediums. 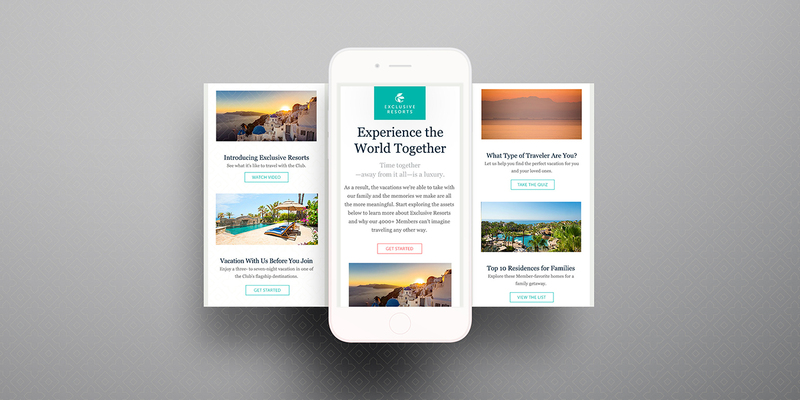 In order to create a cohesive global campaign, our team developed a versatile overarching theme, that would accurately convey the Exclusive Resorts experience to both current and prospective members. 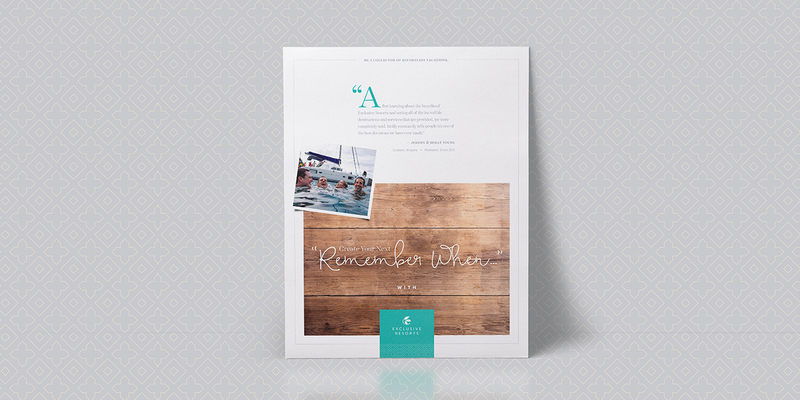 We launched the “Create Your Next Remember When” campaign, which focused on the value of family togetherness and forming long-lasting memories with the people that you love. The campaign encouraged members to relax, unplug, and reconnect, and served as our guide for subsequent messaging. 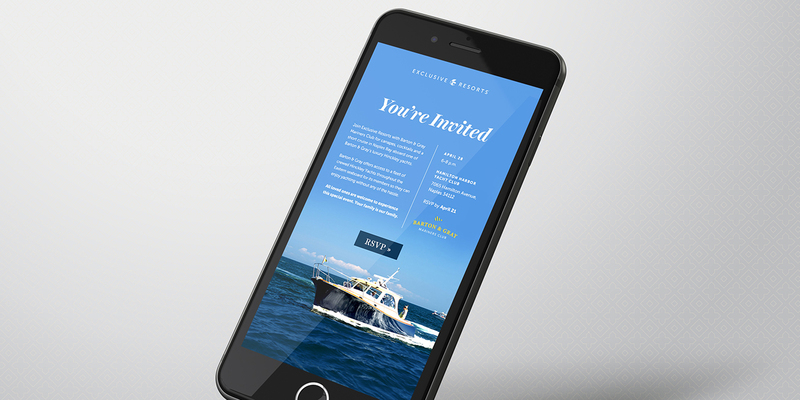 From there, we delved into the task of standardizing all collateral materials in order to streamline Exclusive Resorts’ look and voice. 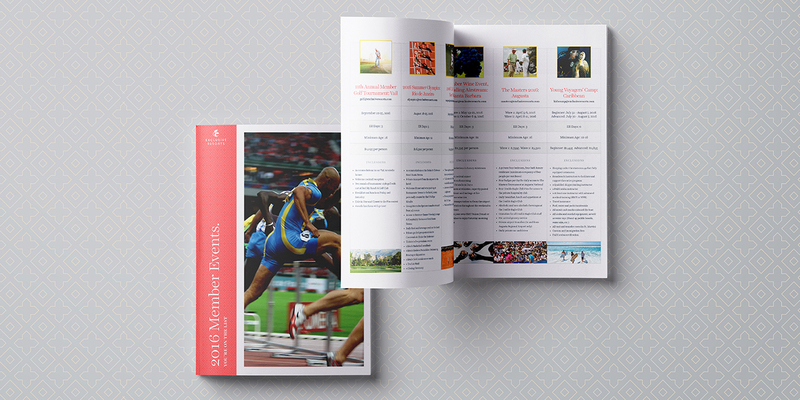 The “Create Your Next Remember When” campaign acted as a turning point, allowing us to create an all-encompassing rebrand. 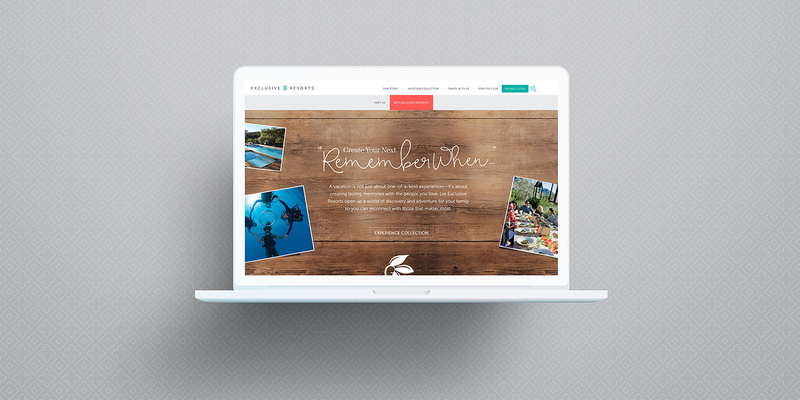 In addition to concept development, we implemented strategies based on historical data for the corporate website, which included vacation slideshows and member interviews, as we deployed a series of digital communications as part of an Automated Lead Nurture Program. The interactive quiz to drive customer engagement and increase brand awareness was also a key component of the digital initiative. In 2017, we deployed a hyperlocal marketing initiative, strategically geo-targeting markets that best fit the target market profile. 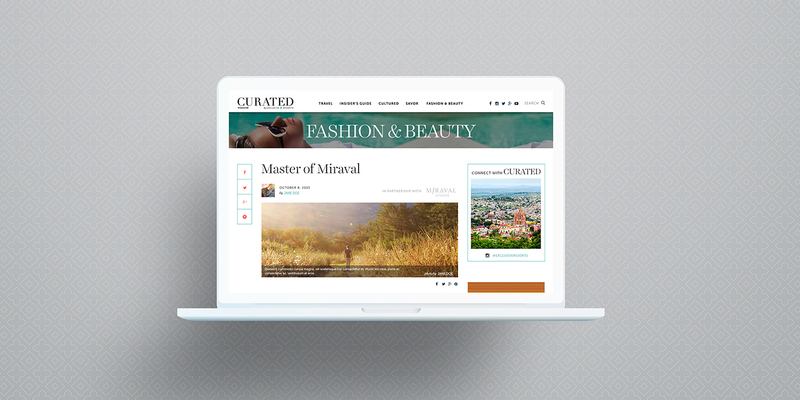 Additionally, we made strategic improvements to the web hub that housed all content featured in the brand's quarterly publication, CURATED. This step boosted functionality and member responsiveness. To continue to drive targeted traffic to the Exclusive Resort site and generate leads, we are actively and strategically developing content for an online organic and paid search initiative. "Exclusive Resorts grants members privileged access to the world’s most spectacular travel experiences." Although we are continuing to roll out our global and hyperlocal marketing campaigns for Exclusive Resorts, we have already successfully standardized creative messaging across their existing platforms and have seen substantial increases in engagement metrics.